How the speaking industry REALLY works and what you should focus on if you want to get clients from your gigs. Hello ladies and gentlemen, today I would love to talk about how the speaking industry really works. I’ve been having a lot of conversations on this topic with my wife, with a lot of other friend speakers that I have and I wanted to kind of demystify this myth about, how does the speaking industry really works? And in particular, if you’re using speaking to get clients, what is that you should be focusing on to make sure that actually you get those clients? Because there are other things that you can do, that are going to be a complete waste of time. And there are other things you can do that actually are going to give you the results that you want. So let’s break it down into these two different topics. 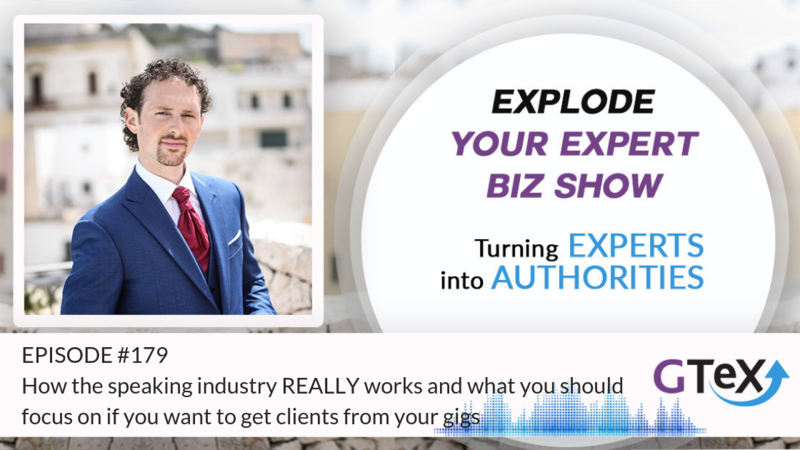 How the speaking industry really works and when you have the gig, what should you be really focusing on to get the clients that you want for your business. Now if you’re watching the replay, thank you very much for watching. Make sure that you put #replay, so I can see that you are watching. Or if you are listening to this on a podcast or somewhere else, than thank you very much for listening. Make sure that you subscribe. And if you’re watching live right now, say hi and ask away. Ask your questions, I’m here to answer any question that you have. So, let’s get started, shall we? Let’s get started, fabulous. So, how does the speaking industry really work? Well there are a few things that you need to be aware. First of all, not all speakers are created equal. And not all events are the same. In fact, there are some events that want you as a speaker and some events that will never have you as a speaker. And you need to understand what kind of events you should be focusing on, and you want to target, depending of the aim of what you want to achieve. 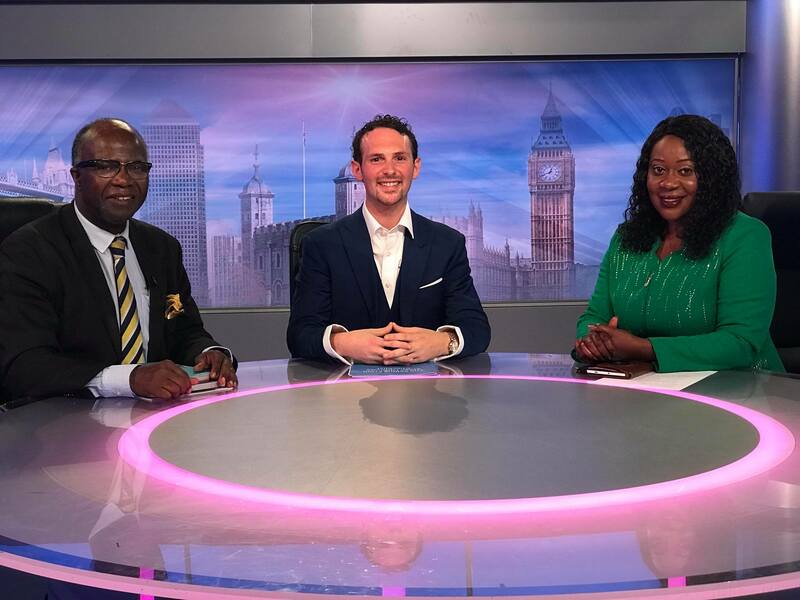 I want to say a big, hi, to my good friend Steve Coley, thank you very much for joining the live, Steve. So what are different ways and what are the different things that you can be focused on in the speaking industry? Well, first of all you have to decide, what kind of speaker are you going to be? Or in particular, what kind of speaker do you want to be known for? That’s the big question. What kind of speaker do you want to be known for? Who do you want to be? Because there are different things that are happening in the speaking industry. So there are some speakers that you can decide to be focused, mainly, like myself as a speak to sell speaker. What I will use speaking to grow GTeX. So what you do speaking is a way for me, Harianna, speaking for me is a way to get clients, and to get people on courses, to get people on training, to get people on our distant marketing agency, to get people on our event management company, to get people to buy our online courses, so that’s one way of speaking, speak to sell. And if you are going for, if you’re a speaker to sell, and if you were using speaking to grow your business, and you want to be known for that, and you’re approaching a corporate event, and you’re saying, I wanna speak to your people, then there is a big problem there, because now the corporate don’t want to, because you’re going to be there to sell. While the corporate want someone who is positioned mainly as a keynote speaker, as someone who wants to add money to corporate, and it will get paid a fee up front, and they will not do, or will almost not do free speaking gigs. And it will only be focused on getting paid as a speaker. So that’s actually second category. Do you want to be known as a speaker that gets paid as a speaker? And they will only work out, if they have money in their pocket, if that deposit is being made in their bank account, and otherwise it will say, “Well, no, I don’t do it,” Now it doesn’t, when you’re deciding who you want to be, it doesn’t have to be one or the other, because you can do both. But what is the thing that you want to be known for? That’s the difference, right? That’s the difference. Because I can do corporate training, and I’ll be happily get paid for a fee, and to go in and deliver training. I do that, but that’s not what I want to be known for, because what I love is using speaking to grow an existing database of clients within GTeX. Is it making sense? Just give me a woop woop here in the comments if you are listening to the podcast, then give me a woop woop here when you are in the car, or wherever you are running. Is it making sense what I’m talking about? And you have another kind of speakers which is the event organiser. We are, in this case, you will be mainly hosting and organising the event, and your role is to bring people in the room, and then you might have speakers that are selling, or you might be selling tickets, and the speakers, and you earn the ticket’s revenue, or if other speakers are selling, you earn a percentage of the ticket sales. And again, if you want to become an event organiser, it means that your focus needs to be somewhere else. I’m going to give you, to tell you also where your focus should be. And then you have another kind of speaker, where it can be like a promoter in this case, where you will use speaking to promote other people’s event, and just earn a fee and commission from there without having to travel around and do this yourself. So you can see that you can use speaking for different things, and if you are speaking to sell, then which is what I’m specialised on, then the only thing that your main priory is to focus on finding plenty events that are looking for speaker to sell products. Because it means that if you focus on that, then immediately out to marketing, by default, you will be able to get the clients that you want. Right, Pete? Right, Cindy? Thank you for joining. Now if you are a corporate speaker, and you want to be paid a fee upfront, to get paid upfront, before even you show up, that means that your main focus is going to be to find or to market yourself as a high end speaker, to connect with speaking viewers, and to connect to the event organisers that are hiring the speakers for these kind of conferences. So you admit the best thing you can do is to find conference with already high speakers, that are similar, that are speaking on similar topics that you’re speaking about. Why, because it tells you already that those event organiser are interested in this kind of speakers. And if you are the similar topic, it means that they might be interested in yourself as well. Is it making sense? Give me a woop woop here in the comment if you are following. And then we have another kind of speaker, who say the event organiser, and then your role if you’re the event organiser is to get bums on seats. It is to make sure that you fill your own event. 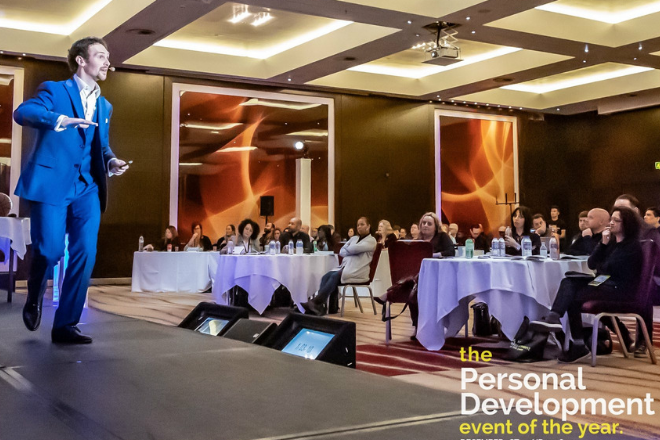 Because you can be an event organiser, and you can be a speaker, and you can be a keynote speaker, but if you are running an event where you are inviting other speakers, you better have some people in the room. Now if you don’t like marketing, and if you’re naturally resistant on marketing, that might not be the best thing to do because actually, an event organiser is 90% marketing. Because what you’re going to do is get people in the room. Right, Asam? And then the other kind of, the other speaker, if you’re looking at using speaking to promote other people’s events, what you’re going to be doing is the promoter role, is again, to build your list, so that you can have people to send to when you’re having an affiliate event come up, or to find again those speaking engagements that will allow you to then sell product or services, because then it means that you don’t have enough to sell your own products or services, but you can sell the other training, the other courses, and that’s another way, but again the focus is, find those event organisers. So now that you know where should you focus on, and I wanna say a big hi as well to Samantha, and big hi as well to Annabelle, thank you very much for joining. So now that you understand the different dynamics of the speaking industry, and the different roles that you can play as a speaker, and a different way of monetizing it, let’s think about what is that you should be focused on if you want to get clients as a speaker, if you’re using speaking to sell. Well first of all, like everything is all about mindset. It’s all about mindset. Now, if you’re naturally resistant to sell, and you’re saying, “Well I want to use speaking “to get clients.” You can see that these two things are not going to work together. So naturally, you need to sort out your mindset, and first of all, becoming alright with the fact of selling product or services, and almost feeling like it is a duty for you to sell the product or service. For example, what I believe, is that I know I’m not going to be able to change lives, and to change an entire person’s business in an hour talk, or in a two hour talk, or in 20 minutes. So I can give them the best advice possible, but because it’s free, or because they’re not going to have an investment in it, they are not going to end up, because they’re not going through a process, they’re not going through almost anything, or if there is 1% of the audience that will do something I would to achieve a great result. But I know that real change, and that’s what I’m here, because I want to make real change in businesses, and any one of our clients can say that. If they don’t buy, they will not go through the process that are going to change their business and their life. This my case, they’re not going through the process that we have, to up and become an authority in their field. But then think about what’s the process for you, and know that if they leave, and they don’t buy that product or service. Right, Carmen. Hi Eunice, thanks very much for joining. If they leave without buying that product or service, it means you’re letting them down. It means that now, you’re letting them on their own. And you know that if you keep, they keep doing things on their own, they will get the results that they got so far. And if they got the results that they got so far, and these results are not good, then you know already that you’re letting them down, that you’re letting them go on to that path. So my role is to be as persuasive as possible, to make sure that I can avoid them that costly mistake. Because I have to say, that the people I’m the most grateful for are people where I bought their programmes, not the people that I attended their free talks. The people that had the biggest impact in my life, that really get me to have tangible results, are the people I bought from. These are the people I respect the most. Why, because all the other, I forgot all about them. Why, because they gave a good talk, great, I’m up, what’s next? But if I buy something, I’m committed to a process, which means that now I can actually get results. And in fact, even the more money I spent, and the bigger, the longer the process was, the more result I was getting. So if you think about that as well, then there is actually, you are short-changing your clients by charging lower prices, by making the process really short, or by not selling anything. So that’s the first thing, becoming okay that selling is actually your duty, and is good, and that’s what you’ve got to do, if you really care about your client. If you don’t sell, it means you don’t really care, and it means that you don’t believe that what you have can benefit them, and it means that you don’t believe that what you can do for them is good enough, and if you have this kind of limiting beliefs, well there are two things. One, is right, it means you’re not good enough to deliver that kind of role, and it means you need to work more on that to do more pro-bono, to do more case studies, to build that confidence within yourself, and also the skills to back up the promise that you want to deliver. And the second thing is just maybe something mental. You might be already great, but just because you don’t believe enough in yourself, then you are not going for the sales in a way that inspires client to trust you. And if that’s the case, work on it. Because it ain’t gonna be better. Things are gonna become worse actually because it means that you are going to do this process for longer, which means you are going to let your clients down for longer, which means that you’re going to let yourself down for longer. Because if you don’t get this right now, this is what gonna happen to your life. This is what gonna happen to your business. And if you say that with conviction, and if you are making them understand, that actually you are not saying this just because you want your money and you want your business, but because you genuinely care about the outcome that they’re going to have. You genuinely care about the results that they’re going to have. Well if you do that, you’ll find that first of all, a lot of people will buy, and then secondly, you will find that a lot of people will respect you. You will find that a lot of people will thank you, and will say, “Thank you very much for having “me sold the product.” “You saved me years, you saved me this amount of money, “you saved me hours of work.” or whatever you did for them, but it all starts with you. So that’s number one. So first of all, focus on your mindset, right? And thank you very much to Kumba for joining. Hi, Caroline, great to see you here. And the other thing that you should be focusing on is to make sure that you know what is that you’re talking about. In particular, that you know how you’re going to finish your talk, that you’re going to rehearse your pitch, and a call to action. And I know Caroline will have a lot to say about this, but a lot of speakers that actually after a while they’ve been speaking, if they’re reading all the stuff, they can be incredibly entertaining, incredibly engaging, and they don’t have anything prepared, and there are those kind of speakers. But this is the thing, when you’re selling something, it’s a process, you need to guide the audience through a process, you can not lose them. Your attempt actually first of all to lose yourself in the process, and you can not lose the audience as well. ‘Cause the moment you get side-tracked, and the moment the audience loses you, that’s the moment they will not buy. And because the moment where you need to be more confident. That’s where you need to show up doing the best you can. 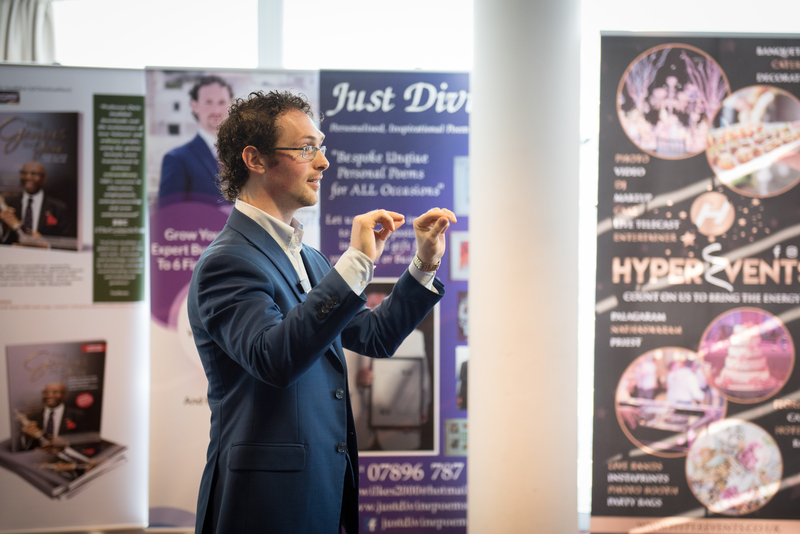 I was having a conversation today with a potential client, and we just left a couple of hour, a couple of, like half an hour ago I think, and he said, when I’m on stage, I deliver this incredible presentation, I can see, I can see that people are loving it, I can see that people, I can see it in their eyes that they are mine, they are in the palm of my hand, they’re loving the content, they see me give a practical application, they are loving the process, but as soon as I talk about sales, something weird happens. And that’s very common. Because suddenly there is a different energy. There is a different energy in yourself, there is a different energy in the room, and that’s where practise come in. That’s the moment when they will buy. That’s the moment where they will say, “I wanna work with you.” That’s the moment where they will say, “Here’s my card.” That’s the moment where they will say, “Thank you very much, I’m really excited “about doing this journey together.” But it all starts with you. And the more, there will be a moment where you will need to practise less, but if you know that your call to action and the moment where you’re making the sale as a speaker, is the moment where you are actually struggling the most, then you gotta do something about that. Otherwise, how do you expect things to change, again? So if you’re a speaker, and you’re using speaking to grow your business, the biggest investment you can do in yourself, is to have a great pitch, to have a great talk, to have a great structure, to have a great business, where your talk will fit in, and in particular, to rehearse your call to action, so that you know that every time you’re on the stage, you will have people that will thank you about working, that will thank you for what you do, they will work with you. You have a great business, you change the lives that you want to change, you build a great community around you, and finally, you can actually change the world, which is what is that you want to do in the first place, right? You can change the industry if that’s you want to do. Maybe you can just have the lifestyle that you want if that’s what you want to have. What is that you do with it is up to you. I don’t know what’s important for you. I know that what’s important for me is to leave a legacy. That’s why I want to create a community, I want to have a team, because I want to create something that will lIve long after I’m dead. And that’s why I’m creating the structure and the business in this way. That’s why I understood very early that if I wanted to create it, I need to become really good at selling from the stage, because that was the only thing that will stop me to create what I wanted to create. Because I’ve learned it very soon, that I can not be so presumptuous, if that’s even a word, to assume that just because I’m on stage for 20 minutes, I can change someone else’s life. I might be able to make them think different about something, but am I really going to be able to change their life? That’s a process. That’s a process. 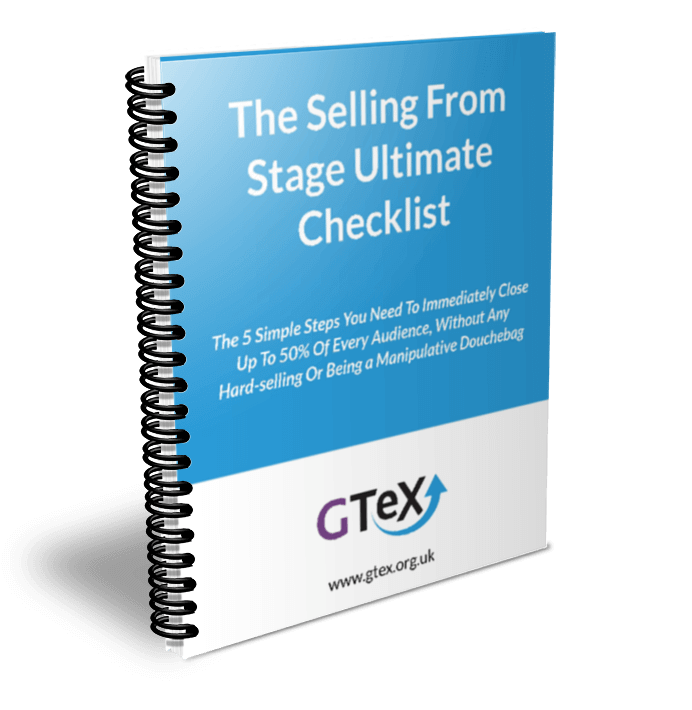 So understand that, and master the art of selling from the stage, and actually, you can get the clients that you want. Now if you want to do that, more than happy to help you out. We got great trainings around it. We had online training, we do one to one, we have group courses, so send me a message and let me know how I can support you. You will fill up a short application form, we’ll see what you talk about, what kind of niche you want to be specialised in as a speaker, and then we’ll be able to guide you in the best direction. Whether is working with Caroline because you need to become a better speaker, and that’s the first step. Whether it’s working with myself if you want to learn to create a pitch that converts and you’re already having tonnes of speaking gigs, and you just need that missing piece. Whatever is that we can do with you, we will do it. But it all starts with you. Make this commitment, understand that this is important, and things will not change if you don’t make it a priority. And that’s the thing you should be focusing on if you want to get clients when speaking. So I’m looking forward to hearing your comments now. If you watching this live, let me know also what you think about the topic, and if you have any question, and also if you’re listening maybe on the podcast, on the recording, or you’re watching this on YouTube, whatever, then let me know what you think in the comments below. What is that you’re struggling the most with? What can I help you? 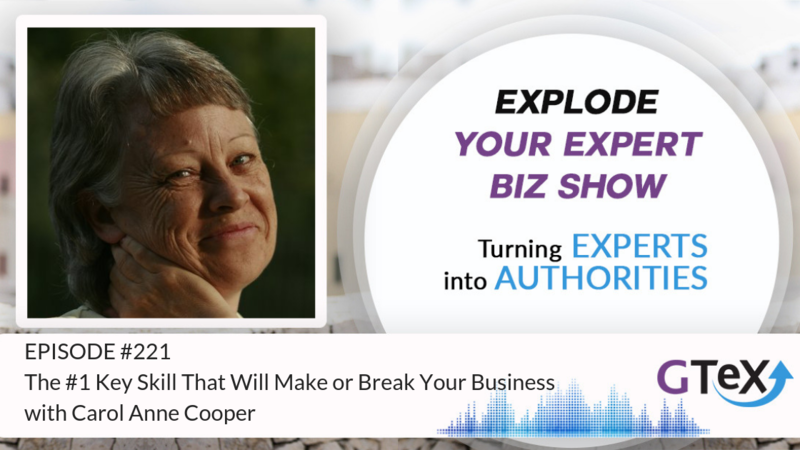 What is that you’re focusing on, in terms of building your speaking business? I’m looking forward to hearing from you, and remember, that together, we grow exponentially. I’ll see you next time. Ciao.